It seems that the industry is still recouping from its Cannes getaway, as this week was unsettlingly quiet on the news front. New York’s Human Rights Watch Film Festival is set to begin this Friday, as Andy Webster noted in his preview of the programming on offer in The New York Times. Meanwhile, two other enticing documentary film festivals are currently in motion. At What (not) To Doc, Basil Tsiokos looked at the new nonfiction on offer in Cape Town and Johannesburg, South Africa at the Encounters Documentary Festival, as well as those being screened at SF DocFest in San Francisco, both of which run through mid-June. It is with great pride that tomorrow we close out our 2017 Spring Season at the IFC Center with Jeff Orlowski’s breathtaking CHASING CORAL with the director himself in attendance to present the film. The screening is sold out, but a limited number of tickets may be released to the rush-line, 15 minutes before showtime. Having had its world premiere last October at the Beirut International Film Festival and its US debut at DOC NYC just a month later, Sabine Krayenbühl and Zeva Oelbaum’s LETTERS TO BAGHDAD has arrived in theaters in limited release. 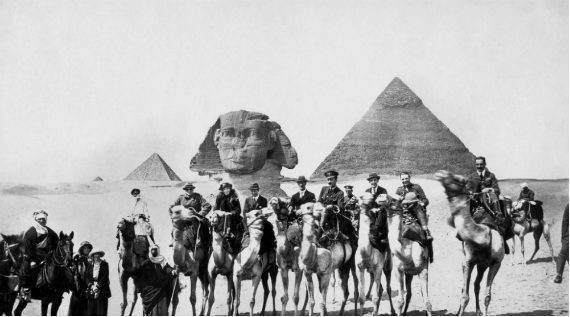 Calling it “a sweeping history of the Middle East in the early 20th century, told through the eyes of the British writer Gertrude Bell, who spent three decades in the region,” WNYC named the film its Doc of the Week. In Variety, Jay Weissberg praised the film for its eye for historical detail, especially in comparison to Werner Herzog’s much derided bio-fictional attempt QUEEN OF THE DESERT. The New Yorker’s Anthony Lane was similarly enthusiastic, writing “You emerge from the film with a divided heart: thrilled to hear of a woman who, ignoring the dictates of the age, filled her days to overflowing”. In the wake of Amazon’s online release of LONG STRANGE TRIP, a handful of great new pieces have come in from Craig Jenkins of Vulture and Matt Wilstein of The Daily Beast, both of whom seem to have emerged from Amir Bar-Lev’s Grateful Dead epic as newly formed Dead Heads. Still expanding in theaters, ABACUS: SMALL ENOUGH TO JAIL continues to make an impression. This week director Steve James appeared in conversation with Matthew Eng, discussing the film and his filmmaking process for Tribeca Film. Paula Bernstein spent four days taking in “film talks, screenings, workshops, and campfires” at the Oregon Doc Camp and wrote about her experience for Filmmaker Magazine. Filmmakers neck deep in research and archival material may want to check out the latest update at the Documentary Site which outlines three recent discoveries for recording, sorting and annotating archival materials. Eriq Gardner of The Hollywood Reporter reported that the “$13 million lawsuit against Katie Couric, Stephanie Soechtig, Epix and others associated with the documentary UNDER THE GUN” for defamatory has been dismissed by U.S. District Court judge John Gibney, Jr. News of the suit originally broke last September after a Virginia gun rights group called the Virginia Citizens Defense League claimed that “UNDER THE GUN was edited to make it look like they had no basis for their opposition to universal background checks”. Those looking for new doc content should head over to Field of Vision to watch Chelsea Hernandez and Iliana Sosa’s AN UNCERTAIN FUTURE, about how “two expectant mothers—one undocumented and one US citizen—must contend with increased ICE raids and mounting hostility towards immigrants under President Trump”. Additionally, the latest episode of the True/False Podcast features Antonio Tibaldi and Alex Lora discussing the director/subject relationship within THY FATHER’S CHAIR. Or you could turn to Netflix, as Christopher Campbell has listed his top 100 docs to watch this month on the streaming service at Nonfics. Likewise, POV has listed five films to honor LGBT Pride Month! I’ll leave you this week with a new piece by Tom Roston on the how modern content is changing which stories are told, and a conversation between HBO Docs president Sheila Nevins and Realscreen’s Selina Chignall about Sheila’s new memoir (which I just picked up this past week). As always, if you have any tips or recommendations for the Memo, please contact me via email here, or on Twitter, @Rectangular_Eye.